If you're looking for a new TV show to watch, you have more options now than ever before. Everyone knows about the most popular shows but there are many hidden gems out there that can satisfy any tastes. Whether you're looking for an emotional drama or a side-splitting comedy, you'll find your new favorite source of entertainment on this list. See one that catches your eye? Click here to check out DIRECTV packages and get started on your new favorite show! A show about a hedge fund manager sounds dull and difficult to understand, but Billions is surprisingly intense and accessible. 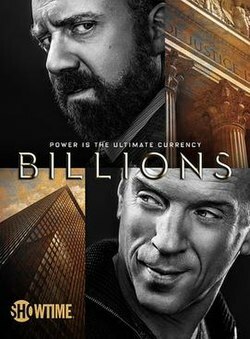 Starring Damian Lewis (Homeland) as the incredibly wealthy Bobby Axelrod and Paul Giamatti (John Adams) as U.S. Attorney Chuck Rhoades, Billions is a dark, moody glimpse into the cutthroat world of the upper echelon. Giamatti gives a gripping performance as a prosecutor determined to find evidence of insider trading at Axe Capital, the hedge fund firm owned by Lewis' Axelrod. Neither main character is unsympathetic, nor are they without their dark sides. The show leaves you wondering who to root for, and indeed as the plot unfolds you may change your mind numerous times. Though it's not as bloody and action-packed as other shows, Billions is worth watching for the timely themes it addresses. Lewis described the show as being "about the kinds of personalities that populate this world, and what drives them." Fans of character-driven dramas will be sucked into Billions and come out of it with new perspectives on the world we live in. 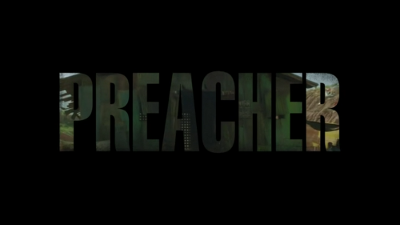 Preacher starts off a lot like other shows based on comics - a regular guy gains superhuman powers - but from there on out it's a different story. Jesse Custer (played by Dominic Cooper) is a former bad boy who becomes a preacher at his father's old church. Just as he begins to question his faith, he becomes inhabited by a mysterious force that gives him supernatural powers. This is a show that is not afraid to have fun. Custer's best friend is an Irish vampire (played by Joseph Gilgun) and together they solve (and cause) plenty of bloody mayhem. The show has its fair share of dark humor, likely thanks to executive producer Seth Rogen, who is known for his raunchy comedies. The show retains the spirit of the original comics from the '90s, which became cult classics for their irreverence and unique plots. Preacher is a must-watch for fans of gory, funny and all-around wild supernatural stories. 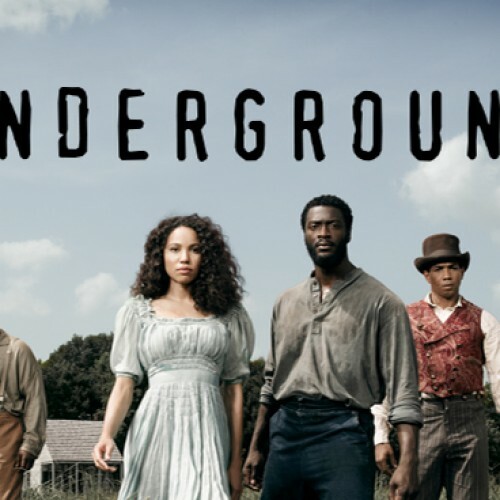 This heart-wrenching period drama chronicles the journey of a group of slaves as they travel the Underground Railroad to reach the North and escape slavery. If this sounds grim and depressing, don't worry. Though the stakes are high, the characters are very well-written and the series is peppered with humorous and heartwarming moments throughout. Showrunner Misha Green describes Underground as a show whose characters, despite their hardships, "laughed and loved and had so many complexities to them." This focus on the agency of the characters gives a new dimension to the often-told story of slavery in the 1800s Deep South. With a highly talented cast and crew, Underground educates as much as it entertains. The story it tells sparks a natural dialogue about American history and the plight of the slaves. Beautifully staged and shot, it's easy to get immersed in the world of the show and laugh, cry and fall in love along with the characters. Inbar Lavi (Prison Break: Resurrection) stars in this dark comedy as Maddie, a woman who makes a living by conning her lovers out of house and home. After years of deception, things take a turn for her when three of her victims team up and track her down for revenge. Imposters puts a new spin on the old cat-and-mouse tale. It's an unlikely plot but all doubt goes out the window thanks to the charisma of Lavi, a breakout Israeli actress. The men and women Maddie has conned aren't straightforward heroes. The show paints its characters as three-dimensional, with good sides and bad sides that leave you questioning who deserves the upper hand. Shows about con artists are all the rage right now, but Imposters comes out on top. Every character has sympathetic moments and there's plenty of laughs in every episode. Lavi's numerous looks and personalities are all played skillfully, echoing Tatiana Maslany's performances as clones in Orphan Black. Imposters will please fans of that show as well as anyone who appreciates dramadies that aren't afraid to have fun with their plots. Don't be turned off by the fact that it's set in the universe of Archie comics, or the fact that it's billed as a teen show. Riverdale is a riveting live-action mystery that will please teens and adults alike. When one of their classmates dies tragically, the familiar characters of Archie, Betty, Veronica and Jughead find their lives turned upside-down. Riverdale transcends genres to effectively please everyone. The Archie-Betty-Veronica love triangle provides ample entertainment for romance fans. The overlying murder mystery is well-developed and will satisfy your taste for suspense. And those nostalgic for the old Archie comics will be pleased with the faithful reimagining of the classic characters. Writer Robert Aguirre-Sacasa called Riverdale "Archie meets Twin Peaks" - and it's an accurate assessment. At times equally heartbreaking, thrilling and hilarious, Riverdale should not be missed. There's never been a better time to check out DIRECTV packages and experience these fantastic underrated shows. From the fantastical world of Preacher to the laugh-out-loud antics of Imposters, there's a show for every taste. Seasoned actors and newcomers alike give performances that wow audiences, and inventive new stories captivate attentions. Which show will be your new favorite?